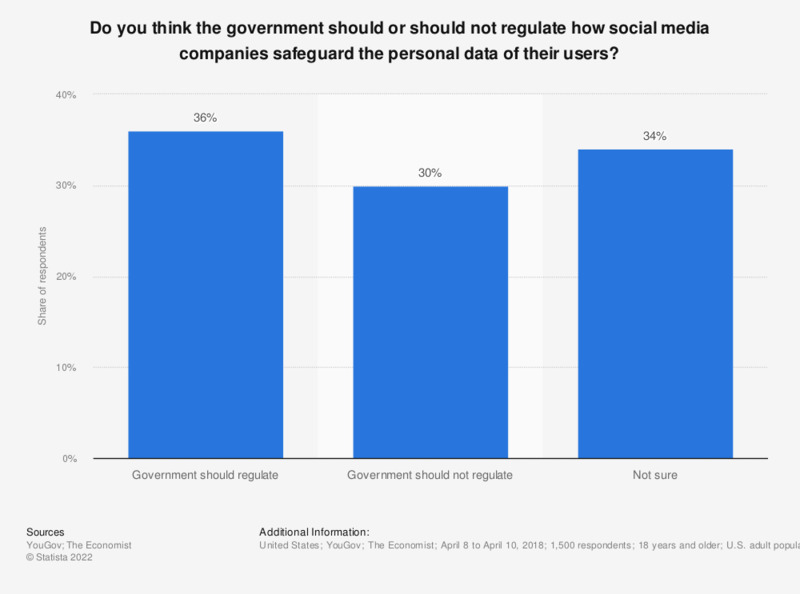 This statistic presents the view of individual's in the United States in regards to if the government should or should not regulate on how social media companies safeguard the personal data of their users. According to the April 2018 findings, 36 percent of surveyed respondents stated the government should regulate, while in comparison 30 percent reported the opposite, saying they should not. Question: "Do you think the government should or should not regulate how social media companies (eg. Facebook and Twitter) safeguard the personal data of their users?"